Faux Painting Finishes~faux painting website~faux painting finishes offers faux painting information for the interior designer, do-it-yourselfer and painting contractor. Questions answered and faux, stencil and mural technique lessons offered! Faux Painting Finishes-faux painting website-faux painting finishes offers faux painting information for the interior designer, do-it-yourselfer and painting contractor. Questions answered and faux painting finishes, stencil and mural lessons available! 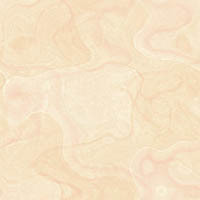 Faux Painting Finishes is dedicated to the exciting world of faux painting finishes. We strive to be innovative in technique, strong in substance and to be committed to producing the unique finish time after time. By staying in tune with the latest in products and faux painting techniques while remembering the older, time-tested favorites, we usually manage to produce the perfect effect for that particular wall, room or entire home. While the majority of our projects are accomplished for upscale residential and commercial clients we also accommodate interior designers, the modest client or do-it-yourselfer as well as painting contractors. After completing so many different dimensional textures, we have coined a new phrase for them--Trompe L'oeil textures! We have fooled quite a few marble and granite setters-not to mention some stonemasons. We have accomplished a nearly perfect copy of marble, granite, French limestone, saturnia stone and we do a really fine sandstone as well. Unlike most "stone" finishes, ours not only look like the real article, but they feel like they're real--right down to the grout lines. Any of these finishes would be a fine addition when incorporated into an interior design or a spot decorating theme. We just can not say enough about this effect because Venetian plaster is truly an art form that has been around for hundreds of years and time has only sped up the application process. There are still a handful of artists who make their own Venetian plaster from scratch, apply and color it in the ways of the past masters. Truly a thing of beauty and the finished product is just awesome! The finished effect ranges from a very subtle sheen to a highly polished one that brings out the depth and shade variations of the medium used. Manufactured Venetian plaster is the same color throughout--the steps taken during the application determine the final shades of the finish. This, to us, is a prime example of faux painting at its finest. Of the hundreds of them out there, some of our favorite techniques also include stencil techniques, murals, trompe l'oeil and home made wallpaper to name a few. When you consider decorating a home, you must also consider fabrics, textures, lighting and existing colors as well as what you want to accomplish with your design. There are literally hundreds of techniques to choose from! Faux painting at its finest will almost always get comments like "where did you get that wallpaper!" or "how much did that stone fireplace set you back?" Faux finishing (decorative artwork) can be complex, involved, tedious and time consuming as well as labor intensive and, at times, extremely expensive. But, it should always be fun and never too seriously slanted towards perfection. Some of our best effects have been the result of accidents! Please, feel free to browse the galleries however scant they are presently. We are continually updating and adding to them and the Effects & Finishes page (in the galleries section) represents but a small sampling of what we can do. Currently, we can produce between eighty and ninety different effects. We learn more all of the time. And, we love a challenge! If you have questions about an effect, would like to consult with us on a project, need help planning out a faux painting technique or would like to trade some blunders with us, feel free to contact us!